Two things happened within the period of a few years regarding the Star Wars universe in recent history. First, Disney purchased Lucasfilm and shortly thereafter, it was declared that the old Expanded Universe was no longer canon. Second, The Force Awakens was released in December, 2015. The effect of both these events on the Star Wars universe did not result in ripples across a pond, but tidal waves wrecking everything that had come before and leaving behind a brand new landscape. Everything Star Wars fans knew about what happened after Return of the Jedi was no longer true and this included all that we knew about the lives of Han Solo and Princess Leia Organa. Not until The Force Awakens premiered were we given a deeper look into the new future and past of our heroes. It was not at all comforting. Revelations arrived hard and fast that the bright future embodied by the festive celebration of the Empire’s defeat in Jedi had ultimately failed to come to pass. The New Republic, only a few decades old, had become a sad doppelganger of its predecessor in short time. More emotionally striking was the news that Han and Leia’s marriage had failed completely. How did this all happen? How did everything go from perfect to ruin? The answer to some of these questions are only now coming out with the publication of Bloodline by Claudia Gray in early May, 2016. Less than a year ago, Gray authored one of the best new installments of the new canon, Lost Stars, a story of star-crossed lovers, Thane Kyrell and Ciena Ree, childhood friends who end up on opposite sides of the Galactic Civil War. Bloodline, set a number of years before The Force Awakens manages the impossible of raising the enjoyment and fun factor over this previous work, all the while focusing on Leia Organa in the midst of a political thriller. One of the thrills of Lost Stars was its plot which followed the timeline of events of the Original Trilogy, often tying into the cinematic heart stopping moments of the films. Dabbling around these major events was immeasurable fun, but Bloodline, set in the blank space between Jedi and The Force Awakens enjoyed none of these same benefits. Instead, Bloodline has to rely on the authenticity of entering Leia’s world and the adventure(s) she finds herself in. Specifically, the main setting of Bloodline is Hosnian Prime (one of the planets blown up by the Starkiller Base in The Force Awakens), the then current home of the New Republic’s Senate. Much of the story unfolds on this doomed planet with excursions to other locales elsewhere across the galaxy. The antagonists take on multiple forms, other senators and the general political malaise that has paralyzed the senate in the form of two political parties unwilling to trust the other to govern wisely. The former are represented by the Centrists, who believe in a strong central government and best represented by the young Senator Ransolm Casterfo. Casterfo, owner of a proud collection of Imperial memorabilia, believes in the idea of empire, just not one helmed by a Sith Lord. On the other side of the political line is Leia and the Populists. The Populists see the accumulation of central power as the enabling factor that created the Galactic Empire and are vehemently against giving the New Republic too much power over its members. The result has been years of growing morass and inaction. The plot of Bloodline swings into motion after a visiting dignitary from Ryloth, home of the Twi’leks, implores the Senate to launch an investigation into growing criminal activity affecting the planet. A Leia, worn down by the Senate’s inability to conduct even the most routine business and on the precipice of retirement, volunteers to head an exploratory mission. To her surprise, Casterfo agrees to join her, and the adventure begins in full the moment their ship leaves orbit. What unfolds is a surprising friendship between Casterfo and Organa, but also the first inclinations of the rising threat of what we know will be the First Order. Woven within both are an election for a prime minister or executive position for the Senate, which Leia is immediately tossed into, and the reveal of Leia’s parentage that subsequently ruins said election chances. This review is not intended to serve as a summary, so we will leave the greater details to page turning to focus on why it’s worth picking up Bloodline in the first place. Namely, it’s Gray’s ability to tap into what makes Star Wars feel like Star Wars with moments that transform letters on the page into dynamic images framed with one’s internal John Williams’ soundtrack. She knows the beats, the scenarios, and characters that we have all come to identify with the franchise and adeptly draws upon them all to keep her novel engaging. The characters, in particular, are Gray’s secret weapon. Not just into characters we know, Gray breaths believability into them with strong characterizations that resist any feeling of stereotype. Among these characters are Greer Sonnel, who appeared in the tragic few seconds of The Force Awakens that precedes Hosnian Prime explosion at the hands of the First Order. In her portrayal of Greer, Gray gives us the emotional grounding to better mourn the character’s otherwise anonymous death on screen. Additionally, Senator Ransolm Casterfo, a character who we all want to hate at first blush, is granted the chance to rise above the easy stereotype trap that he could have fallen into as a sympathizer of the Empire (if not its leadership). Instead, Casterfo is granted a level of complexity that not only makes the reader change their attitude about the character, but ultimately endears him to our greatest sympathies. Of course, we also have Leia, Threepio, and Han, as our only true returning characters from the Original Trilogy, and each are handled with care and attention. As the focus of the novel, Gray’s Leia is realistically portrayed as a senior statesman who has lived long enough to see herself and her cause become history. The Leia that emerges is both familiar to us as the soldier/diplomat of Return of the Jedi and the future general of the Resistance. The lines are connected and the Expanded Universe once again begins to take shape and form. Then there are the little things, clues and hints of the past few decades, which are simply waiting to be explored, from Han’s role in starship racing (which actually makes sense when you consider how many legitimate and legal ways the man could relive his adrenaline fueled days as a smuggler) to Chewbacca’s retirement to domestic life on Kashyyyk (which he had to have left to rejoin Han after Ben Solo became Kylo Ren). 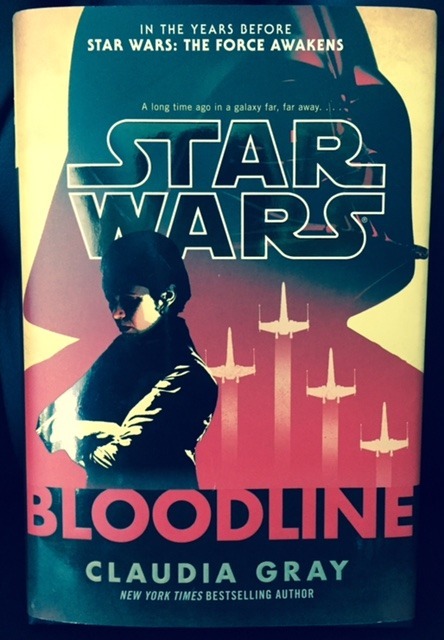 Bloodline, as the first significant novel set years after Return of the Jedi, provides a perfect road map to how future novels of the Expanded Universe can continue to tell the stories of our favorite heroes and villains of the Original Trilogy and beyond. 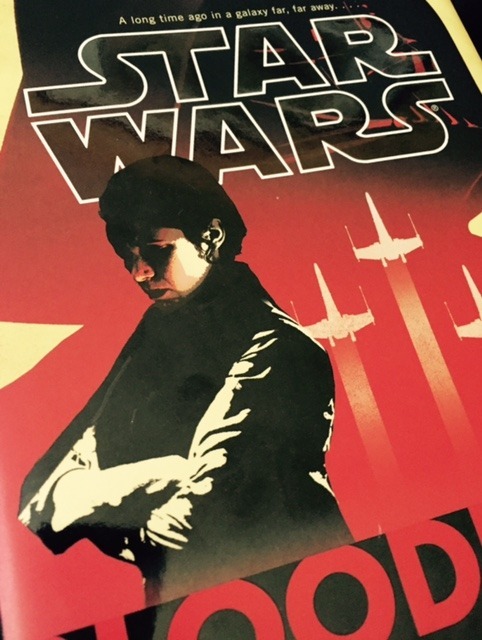 There simply is no question whether a Star Wars fan should pick up Claudia Gray’s second addition to the EU, they must. For those with even just a passing familiarity to the films, Bloodline is a novel that will undoubtedly engross and entertain. This review is just about a month late from Bloodline’s release, but if you still have not taken the time to read it, there’s no time like the present.